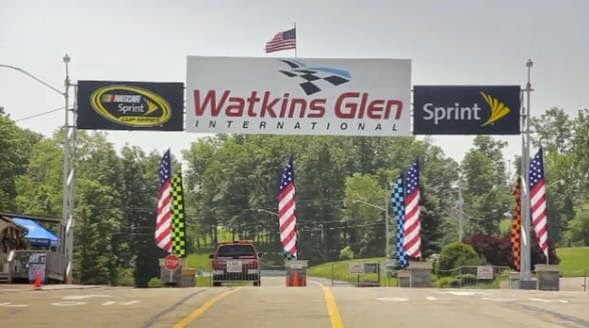 HART has had a strong history at Watkins Glen International Raceway, with two podium finishes in the past two years. Coming off of a win at Kansas Speedway, HART had high hopes for this year’s event at “The Glen”. Both the #92 and #93 had shown strong pace leading into the weekend, and the team has been perfecting its pit strategy and pit-stop performance to give the cars an extra advantage in the race. The weekend kicked off with Practice 1 on Thursday afternoon. The weather looked to be good all weekend, so the team planned for a dry race. Watkins Glen is a much different track from the previous venue at Kansas, so the team used its valuable practice time to get the cars set up for the fast corners and large elevation changes of The Glen. Due to past experience at this track, the cars were fast right off the truck, with #93 setting a top-five time. The pace would be good but the drivers were struggling with longevity. The cars could run fast times, but those times would fall off too quickly as the session went on, so the team focus for Practice 2 would be on consistency. The team worked on chassis changes to make the cars more consistent and reduce tire wear. Some focal points were camber changes and toe changes, to assist the car at turn-in, and support the car through the corner. Practice 2 took place early Friday morning, so track temperatures were lower than they were earlier. Both cars were able to lower their lap times, and the changes seemed to help the balance, as well as make the cars more consistent. HART was able to move into the top three in the ST (Street Tuner) field, and the team looked good heading into qualifying. As qualifying approached, the team had a more relaxed schedule than at Kansas. The cars had no mechanical issues and the team’s focus would be mainly on confirming chassis setup numbers. The only hiccup during the entire weekend was a broken windshield on the #92 car. Fortunately, HART always comes prepared and had a spare on hand which was installed before race day. The strategy for HART drivers Steve Eich and Chad Gilsinger was to get a gap to the rest of the field and work together. Gilsinger led Eich onto the track, and both drivers posted great times in the first couple laps. Eich was able to get a nice “tow” off Gilsinger and posted his best lap on his first lap. Gilsinger needed one more lap and posted his best on Lap Two. Although both times were only about half a second apart, Gilsinger was able to qualify in the fifth position, while Eich would slot into the 12th spot. Both cars suffered from a little understeer during the session as the track temperature increased from Practice 2, but this would be similar to race conditions, so the team made note for future strategy. Saturday was Race Day and the temperatures were in the mid-80s, with sunny skies. HART was geared up to go for another podium finish. As the race began, there was a multi-car crash on the front straight in the GS (Grand Sport) class, which forced the ST cars to take caution as they started their race. The crash was right at the start/finish line and the track went back to green as the cars headed into Turn 1. Gilsinger was able to make a pass for fourth place into Turn 1 while chaos ensued behind him. Three ST cars came together and Eich weaved his way through the mess to pick up six positions by the time the track went to a full-course caution on the first lap. Due to the amount of debris, the caution lasted for more than 20 minutes. When the track went green again, both HART drivers improved their positions even further, as both cars moved into the top five. Just before the one hour mark, another full-course caution came out, putting both cars in their pit windows, so the team decided to make their driver changes. Once again, the HART crew did an amazing job during the pit stop and put the #93 car, now in the hands of Michael Valiante, into the second position after pitting from fifth. Valiante was able to pass for the lead at the restart and led the majority of his stint working with other Honda drivers who were running second and third., Meanwhile, Kevin Boehm was at the wheel of the #92 car and was moving towards the top 10 after being forced to pit out of sequence due to the team only having one pit crew. Boehm was running great times when all of a sudden he felt a slight vibration, and then, the rear of the car fell down! The right rear hub on #92 had broken, and the whole wheel and hub assembly came off of the car. Running on only three wheels, Boehm did an amazing job of keeping the car off the guardrail, and safely managed to bring it back to the pits for service. The crew once again did a great job, and actually got the car back on track to finish the race. At the same time, Valiante was having a battle of his own trying to hold off the Honda Civic Si of Ryan Eversley and the Porsche Cayman of Remo Ruscitti. The Hondas were no match for the Porsches, which used their power to motor past both of them. With about thirty minutes remaining, the crew radioed to Valiante to save fuel whenever possible. If there were no more yellows, many cars would risk running out of fuel. Valiante began to save fuel; unfortunately, this allowed cars behind him to close in. With about fifteen minutes left in the race, the Porsche started to slow. Ruscitti had run out of fuel, and this handed the lead to Eversley, with Valiante still in second and the #5 CJ Wilson Mazda on his bumper. Ultimately, Valiante had to give up the second position due to concerns over fuel, but the team would still have been happy with a third-place, podium result. The white flag flew with Valiante running third, but now, the Porsche Cayman of Will Nonamaker was closing fast. Valiante made it all the way to the last corner when the fuel finally ran out, and the car “stumbled” coming onto the front straight as the Porsche motored by to take third. Again, the team was happy to finish, and headed to post-race technical inspection in fourth position. As with many professional races, teams often push the rules envelope to get the most performance possible out of the cars. Sometimes they get away with it and sometimes the technical inspectors find that they have pushed too far. The #5 CJ Wilson Mazda was found to have illegal suspension bushings and was disqualified from the race. The #93 HART Honda Civic Si made it through tech and was moved back into the third position, extending a three-year podium streak at The Glen. The next Continental Tire Sports Car Challenge event will be at Canadian Tire Motorsport Park, July 12.